Since April 2011, OnlineNaira has grown into a $4 Million Dollar a year company and while we are looking to raise money to increase our share of the Payment Gateway & eCcurrency Market, we are also looking to share our success with our members. InvestOn has been designed to look after the investment need of Africans looking to invest in a growing Internet Company. The promised return has been set to differentiate OnlineNaira from the unreal high yield investment programs available online and to offer a true and achievable investment return spread over 12 months. While we agree that this investment program may not be for everyone, it is important to remind investors that if a promise seem too good to be true, it most probably is and it must be avoided at all costs. We genuinely believe that our return on Investment is excellent and one that could bring additional monthly income for the investor. This page is dedicated to helping you understand how to invest in OnlineNaira. 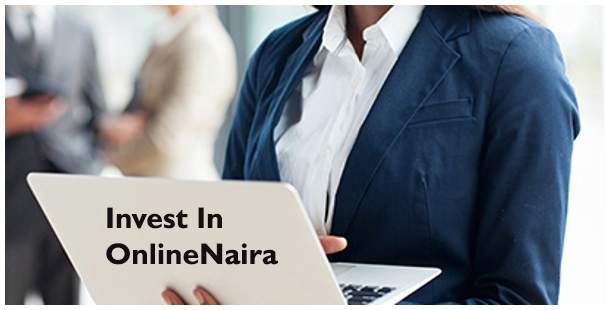 To send invest in OnlineNaira, you first need to fund your OnlineNaira Naira wallet by using either cash or card. Click here for more information on how to fund your OnlineNaira account. To create a New Investment, you will need to move money from your OnlineNaira account to InvestOn in multiples of N250000. Login and click on SEND MONEY, choose InvestON in the Payment Options, enter the amount to invest and submit. As soon as you submit, the investment amount comes out of your OnlineNaira account and goes into the InvestON account. There is currently no upper limit to the amount you are allowed to invest. Withdrawing from InvestON is automatic and is done on a monthly basis. OnlineNaira will process your returns on same date every month for 10 months after you made the initial deposit. Your ROI will be available to withdraw as soon as we have paid it into your OnlineNaira account. If you have any queries with returns on your investment, pls send an email to investon@onlinenaira.com or just have a chat with a member of staff online now. Receive ROI from Month 2 to Month 12. You can invest any amount, but in multiples of N250000. Monthly return of 2.5 % paid into same OnlineNaira account. The most important guarantee we have for our investors is the fact that OnlineNaira has been around for over 7yrs and still growing. We have plans in place to be the largest payment gateway and eCurrency Exchanger anywhere in Africa and we have huge liquidity that makes us poised to offer this mouth-watering, but reasonable returns on your investment. InvestOn is wholly owned and operated by OnlineNaira for its members to invest in OnlineNaira activities. OnlineNaira is an African Payment Gateway & eCurrency Exchanger established in 2011. Our core business activities include taking payments locally and making the same payment available for our users to spend in an online wallet. OnlineNaira services are specifically designed for people who do business with Africans. It therefore follows that individuals and merchants who do business with Africans irrespective of where their businesses are in the world can use OnlineNaira to receive money from or send money to Africans. Click here see the OnlineNaira Profile. Capital - Your capital is N250000 and you get it back on the 12th month or reinvest. ROI - Your return on the investment of 30% is N325000. This total return is paid to you on a monthly basis equally @ N7500 for 10 Months. Consolidating the OnlineNaira bank balance. Consolidating CBN compliance regarding security deposit. All future developments will be added here for you to see what we are doing with your money. We are already investing the money received so far in projects that help to increase our capacity to handle over one million transactions daily. Today, our income has increase by 320% over 2016. We are using your money to fund our expansion and that gives us the ability to prepare to compete with the likes of paypal for online transactions. We are already doing a lot more and some of the infrastructural additions to OnlineNaira will come to the fore within the next few months. A notable addition is our investment is instant cash deposits. Within a few weeks, it would be possible for all depositors in Nigeria to deposit cash into their OnlineNaira accounts without going to the bank. This option is different from Card or Bank Transfers. Q. Does OnlineNaira make any profit from InvestOn? A - Yes. OnlineNaira owns InvestON. OnlineNaira operates InvestON and takes full responsibility for InvestON. We expect you to make an investment for 12 months so we could make maximal use of your money in order to justify the returns we offer. Your investment cannot be stopped once you have started. Q - What is the Maximum Investment allowed? A - There is currently no upper limit to the amount of money you can invest, but you need to understand that you will only be able to withdraw your returns while we have your money. Be sure to invest an amount of money that will ensure you have no need for the capital for another 12 months. Q - Could I have more than one Investment? A - Yes. We allow more than one investment to run simultaneously. Each investment will run for 12 months and treated separately.